Milk producers need to adopt a different mindset and turn their attention to getting more milk from forage if they are to survive the current price squeeze. This is the uncompromising message from Biotal’s technical support manager Roy Eastlake, who believes relying on grass silage and maize is potentially both risky and inflexible. Speaking at a London press briefing to release the results of last year’s wholecrop trials at Harper Adams University, he cited Kingshay figures which showed the top 25 per cent in the milk from forage stakes were taking 47 per cent milk from forage against the average taking 29 per cent. This showed for the 8,000 litre cow, an additional 2.5 tonnes fresh weight forage would be needed to go from average to top quartile, and this would result in an improvement in margin over purchased feed of 1.75ppl. He stressed such an approach demanded a change in thinking and producers needed to develop their own strategy, but he said too many had grown accustomed to relying on concentrates rather than fully exploiting forage-based diets. 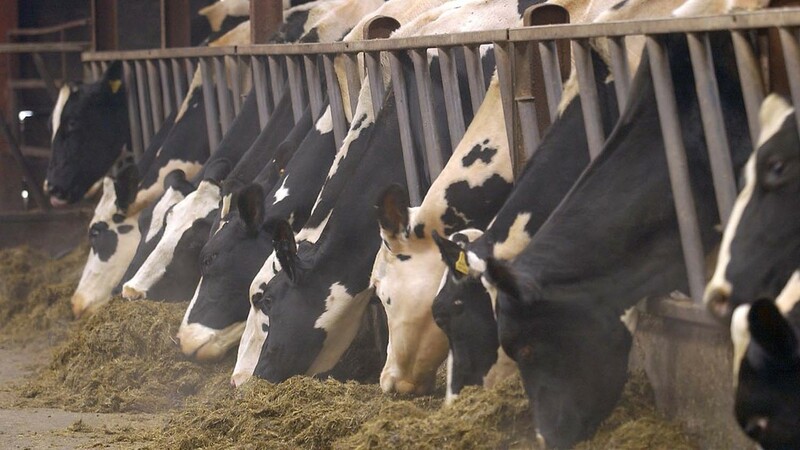 “Most dairy farms rely on a combination of maize and grass to fulfil winter forage needs, yet in most years one or either crop fails to live up to expectations, leaving a deficit in forage quantity, forage quality or both, any of which will increase costs,” he said. He said by varying the harvest date, farmers could react to the season as it unfolded, with the crop harvested later for high starch levels to complement a poor maize crop or cut early to compensate for poor quality grass silage giving less starch but more digestible fibre. Not only that, but it allowed harvest in the summer months rather than the late autumn days as for maize when there was every possibility of wet ground. Releasing the first results of trials at Harper Adams he cited the figures for winter wheat and spring triticale. This showed winter wheat variable production costs were £1,053/ha (£425/acre) and over the five weekly sampling period dry matter (DM) yield went from 11.16 to 20.51t DM/ha. Over that same period DM itself went from 22.51 per cent to 55.29 per cent, D values went from 61.0 to 66.5, starch went from zero to 25.2 per cent, and neutral detergent fibre (NDF) from 60.9 per cent to 43.4 per cent. For spring triticale the production costs were somewhat less at £832/ha (£342/acre) with DM yields from 12.31t DM/ha to 14.62 over the five week sampling period, and DM per cents from 38.72 to 44.54. This analysed at 67 D value at week one and 65.9 at week five, starch 12.1 per cent and 28.1 per cent respectively and NDF 41.5 per cent to 39.6 per cent. Interestingly, the D value figures showed all the cereal crops remained remarkably consistent because as the crop matures the fibre becomes less digestible but the starch more so. As regards the slightly lower ME of wholecrop, Mr Eastlake said this was not necessarily a big disadvantage as it enhances the openness and palatability of the diet and in practical conditions this could lead to increased intakes of around 6kg fresh weight per day.